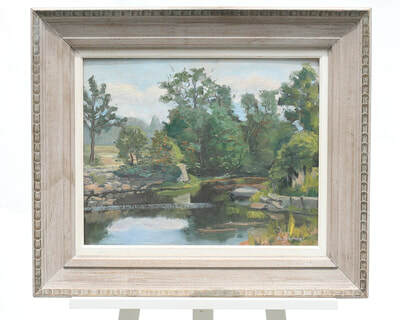 On offer striking view of familiar New England scene: the still mill pond in the heat of summer. 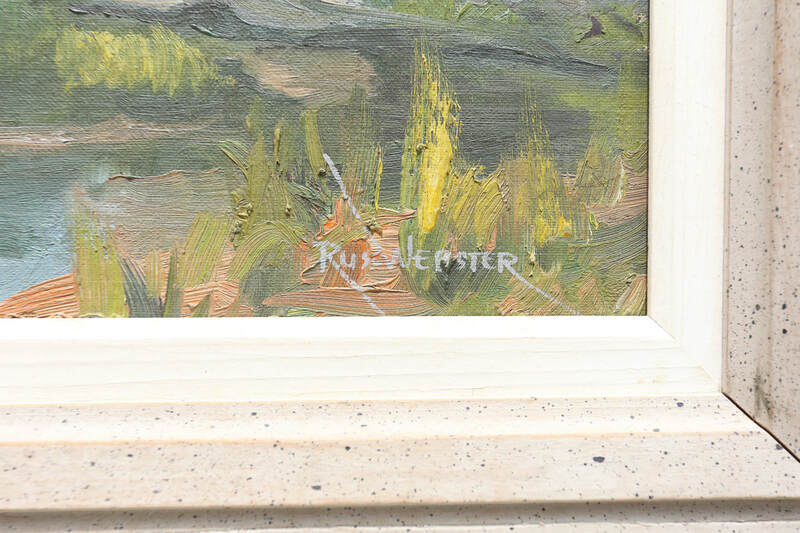 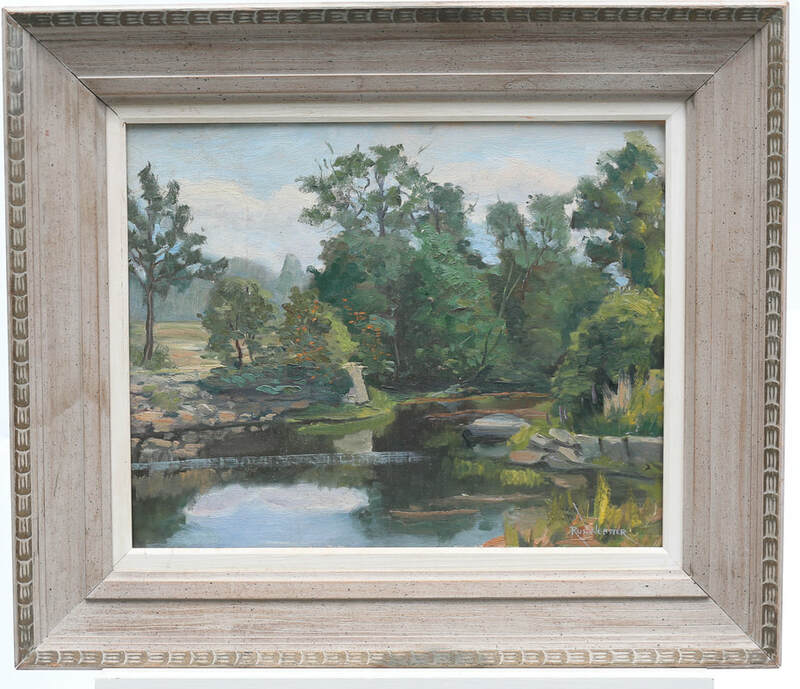 Painted by celebrated Massachusetts artist Russ Webster, signed lower right. 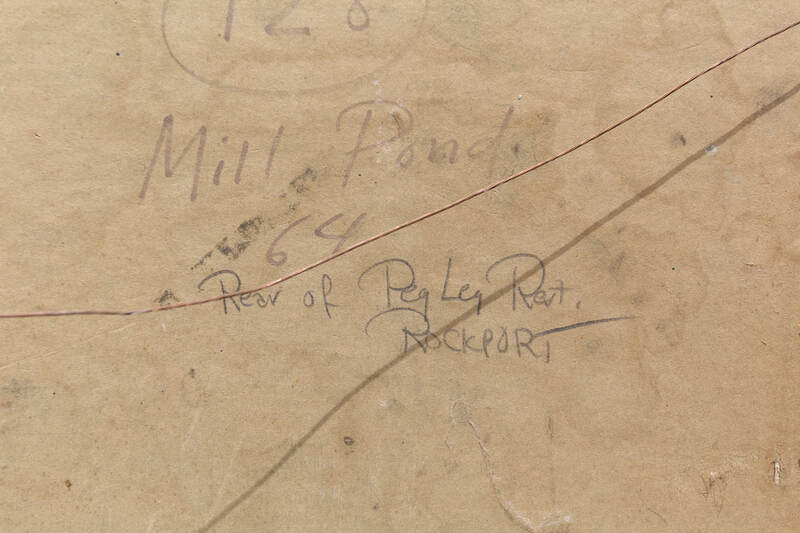 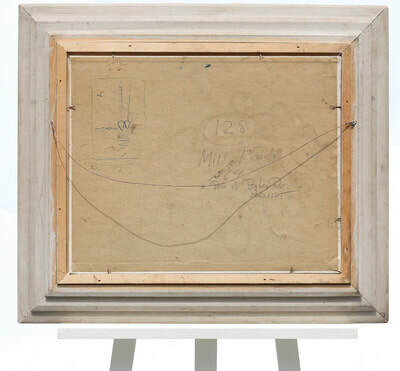 This mill pond in Rockport, Massachusetts with a fully inscribed location on verso: "Mill Pond 64, Rear of Peg Leg Rest. 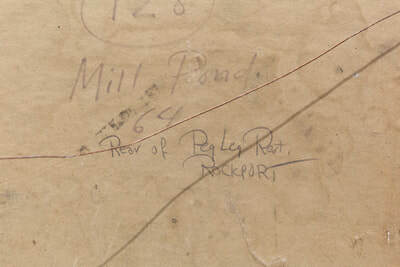 Rockport." 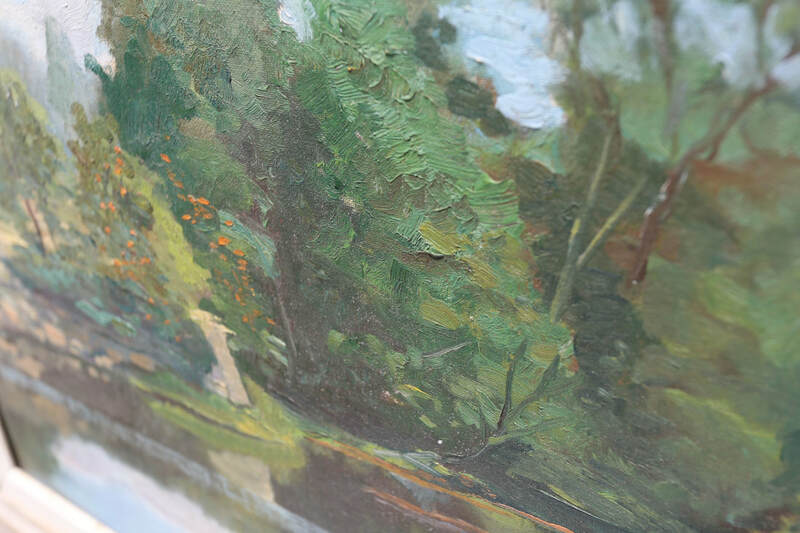 Sophisticated composition and close observation of subtle tonal ranges make this one of the artists finer paintings, though in general Webster has a fine touch. 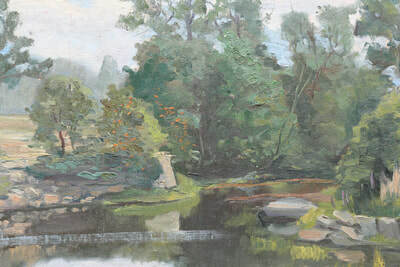 This piece is dated 1964. 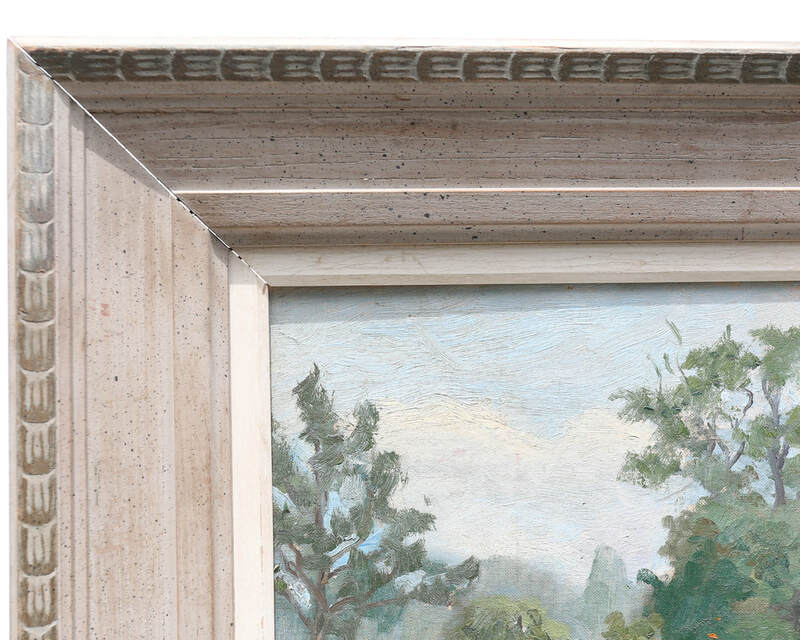 Retains handsome period frame. 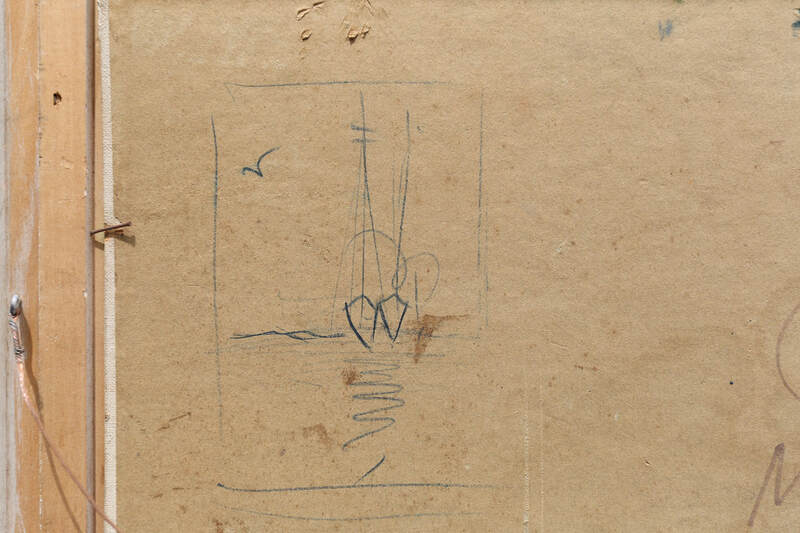 Also a rough sketch of two boats and a gull flying overhead on verso (see photo below). Condition: Very good vintage condition -- typical surface grime, no major losses, as shown. No significant flaws to frame, slight watermark. Presents extremely well. Russ Webster was born in Lynn, Massachusetts and worked as a commercial artist at General Electric. 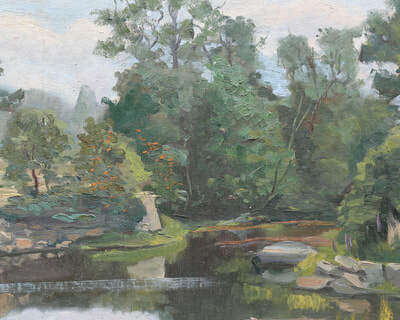 He studied in Rockport with Wayne Morrell, Paul Strisick and especially Emile A. Gruppe, who remained a long time friend and traveling companion. 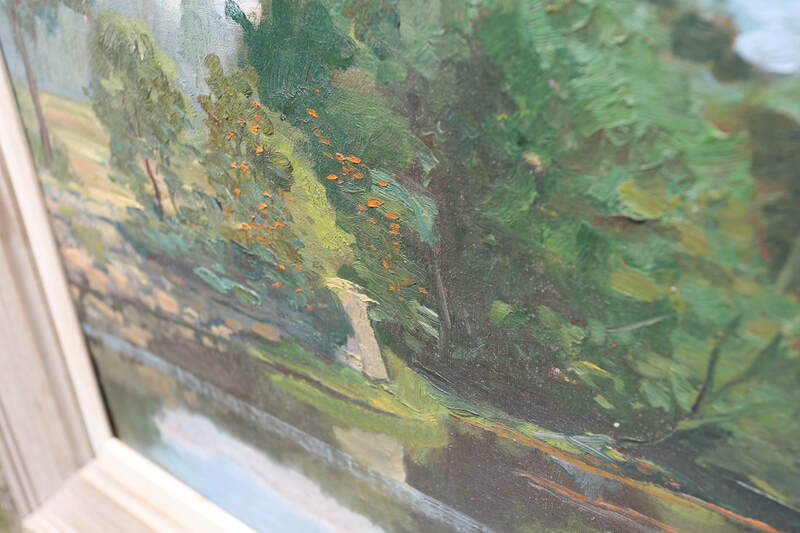 He paints in a characteristic Cape Ann-style, clearly influenced by Emile Gruppe. 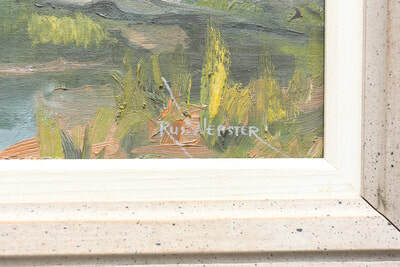 Webster's work has been exhibited at the Whistler House Museum of Art in Lowell, Ma.